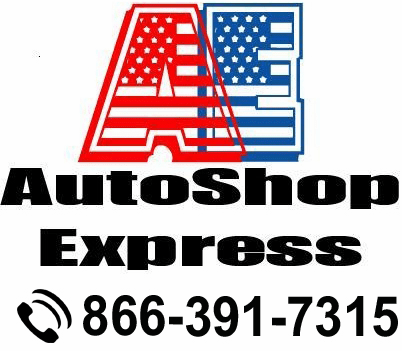 What Shipper Does AutoShop Express Use? We ship our oil change stickers via USPS Priority Mail. Delivery times vary. For instance, once the stickers are printed, there is a 2-3 day shipping transit time. I Have a Limited Budget. Which Products Provide the Most Bang for My Buck? Auto dealership supplies that serve a basic purpose and promote your company are often a good investment. These include customized oil change stickers, Versa-Tags and paper floor mats. My Service Bays are Visible to Customers. How Can I Maintain a Professional-Looking Environment Without Slowing Down My Staff? An auto dealership supplies kit could be just the answer for your shop. It includes interior protection covers and bags that sit neatly and conveniently in an accompanying rack that’s not only sturdy but also fits easily in any repair shop or service center. Does AutoShop Express Offer a Discount on Bulk Purchases? Yes, ordering five rolls or more rolls of 1,000 stickers reduces your cost by 10% and qualifies your purchase for free shipping, for a savings of around $50. How Long Does it Take to Print My Stickers? We usually have them printed and shipped within a week of ordering. If you have a custom logo (picture), for your shop it will take longer. Do I Get to OK the Logo Placement Before My Stickers Are Printed? If you have a custom logo for your stickers, there will be a proof sent for approval before shipping. Are Your Service Reminder Stickers Clear? The sticker is clear with the exception of the blue line and two white boxes under "date" and "mileage" that you can write on. Are These Static Cling or Adhesive Stickers? Technically they are both. The stickers are made with a static cling material, but they also have a light adhesive (low tac) on the back, so the stickers are easy to take off but stay put in condensation, etc. How Do I Indicate the Information I Want Printed? When you check out, there is a comment box toward the bottom of the page (below the "Bill To" and "Ship To" information) that says "Oil Reminder Sticker Print Information Here". Please enter the information you would like to have printed in this box. This area also should be used to enter the appropriate information for any of our other customizable auto dealership supplies. What auto dealer products will help me market my company to existing and potential customers? There are a number of cost-effective steps any service center or shop can take. Click here to read our top marketing tips.